I’ve made some progress on my 5 tubes shortwave radio. The frequency counter prototype is working. I’m using a MPF102 as an RF amp, then the signal is feed in a 74HC161 (16x prescaler) and finally into an atmega328p for counting. I would like to clarify a few doubts on your 4 tube AM superhet. 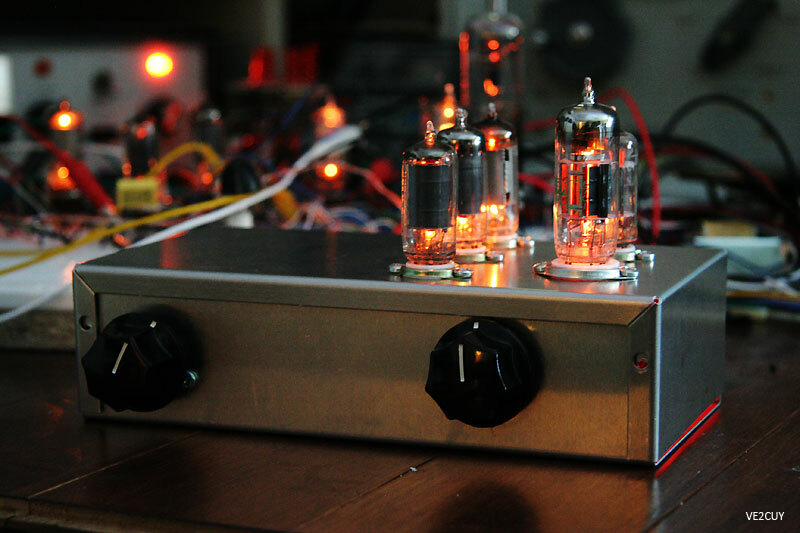 I would like to have detailed circuits for your superhet tube radios, both the 4 valve and 5 valve versions. It is really interesting work that you have done, building those!